Varying in colour from greenish grey to orange-yellow, with ascending to adpressed lobes, subdivided into few or many short, irregular, finger-like sub-lobes less than 1 mm in width. 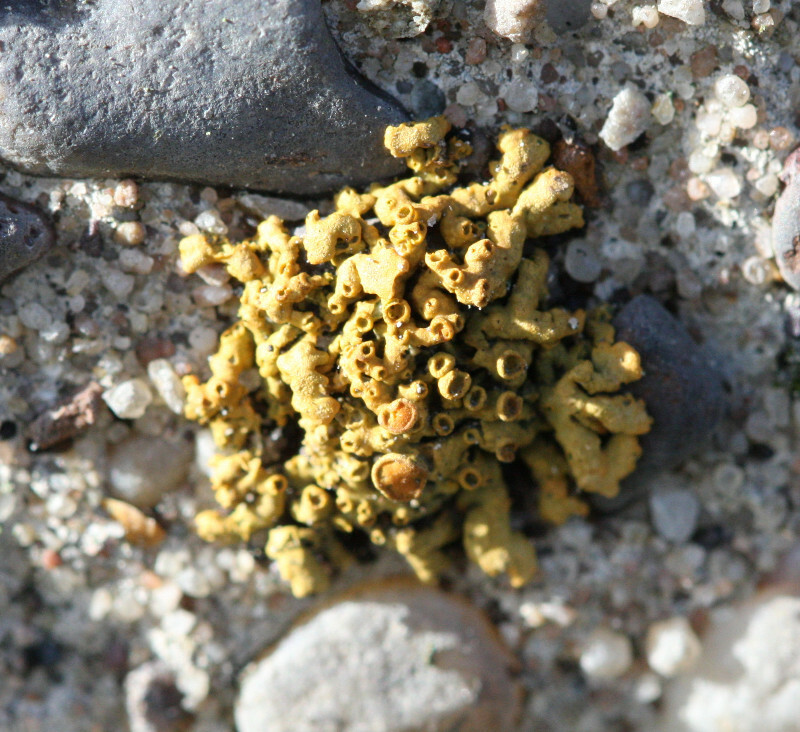 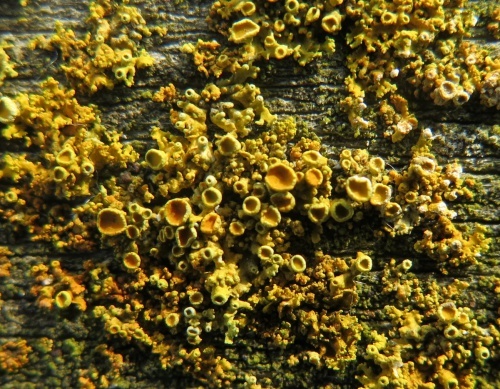 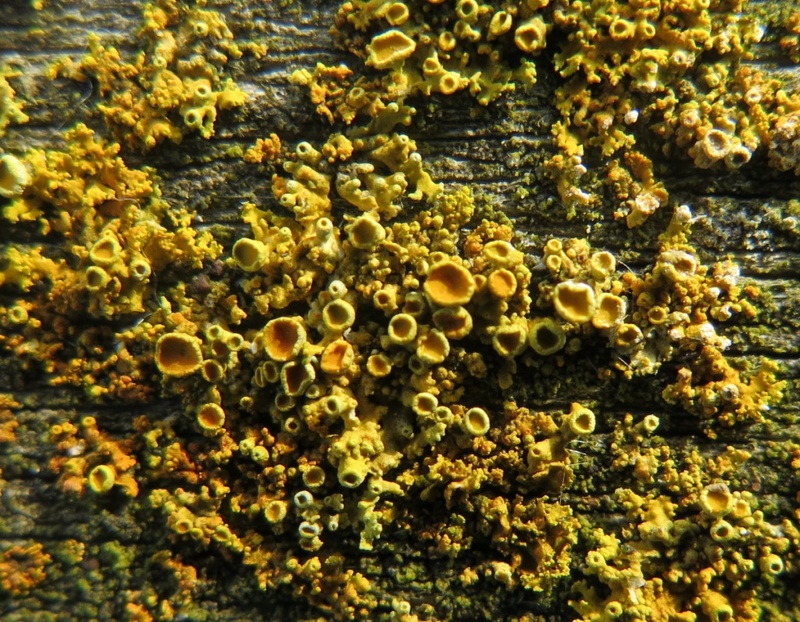 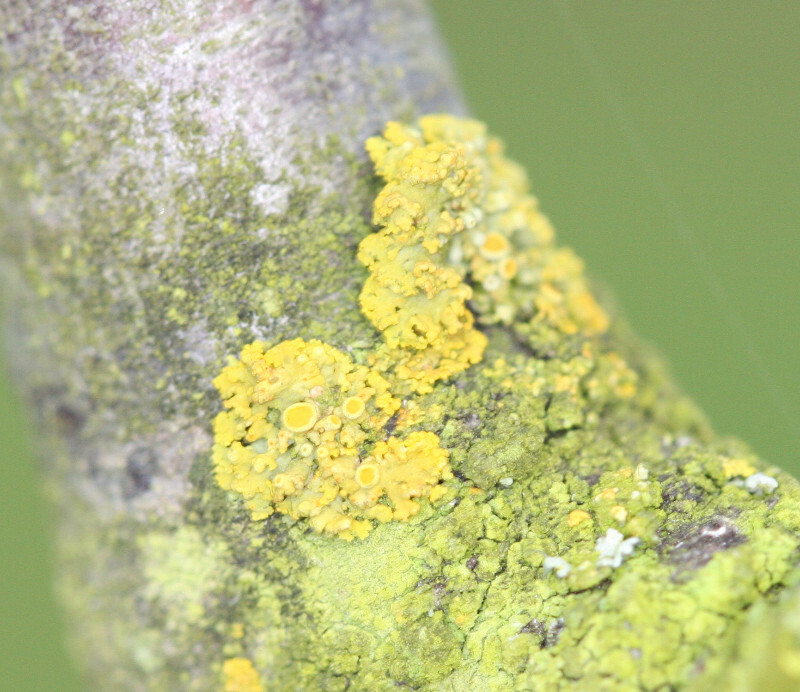 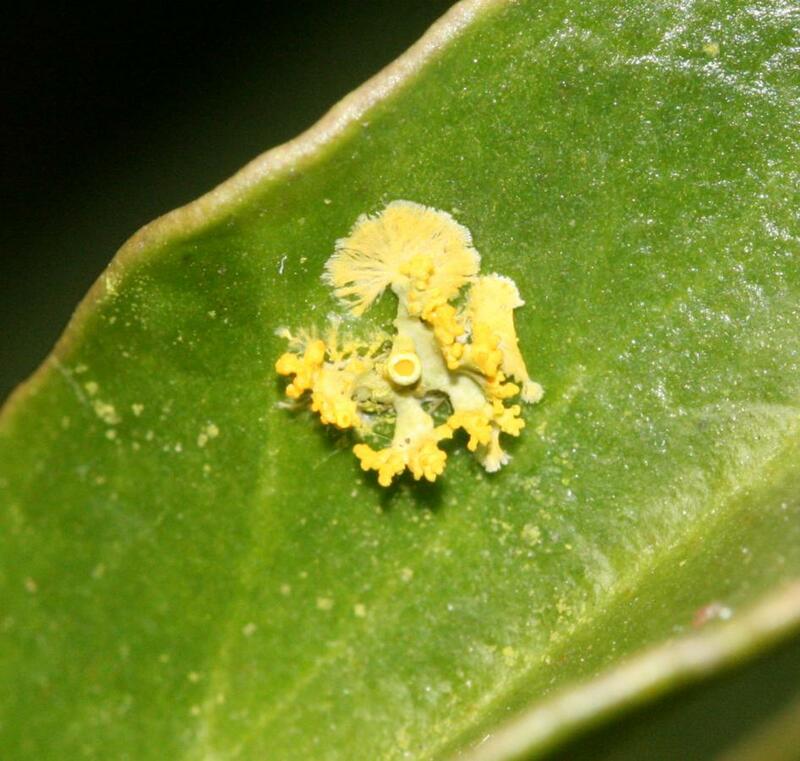 Xanthoria polycarpa can appear similar to X. parietina but is much smaller. Widespread on nutrient-enriched trees, especially on small twigs where it forms clusters. 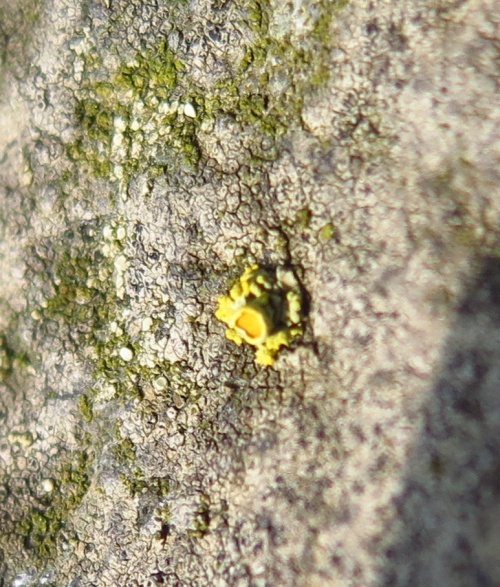 Used as an indicator of nitrogen deposition.